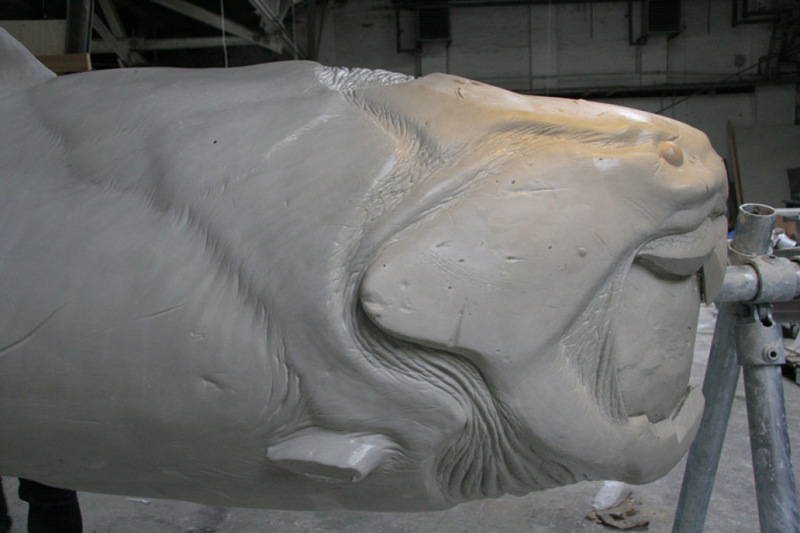 Made under supervision of Philippe Janvier, John Long and Martin Ruecklin. 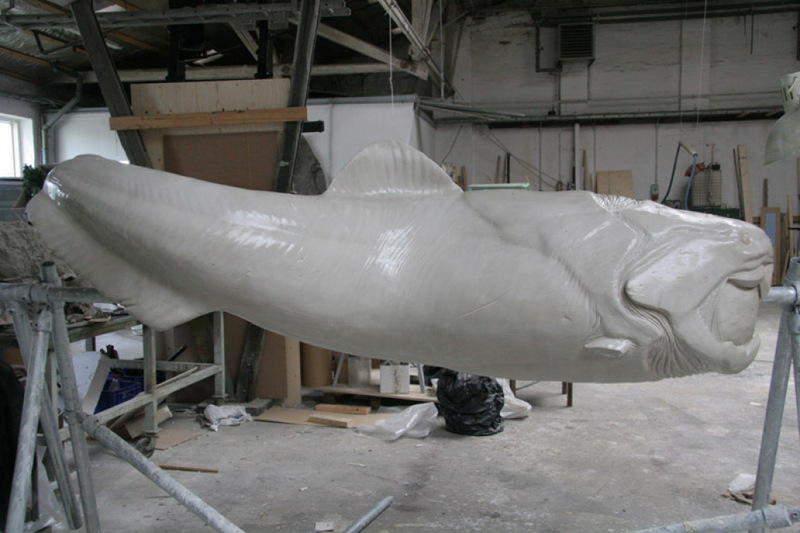 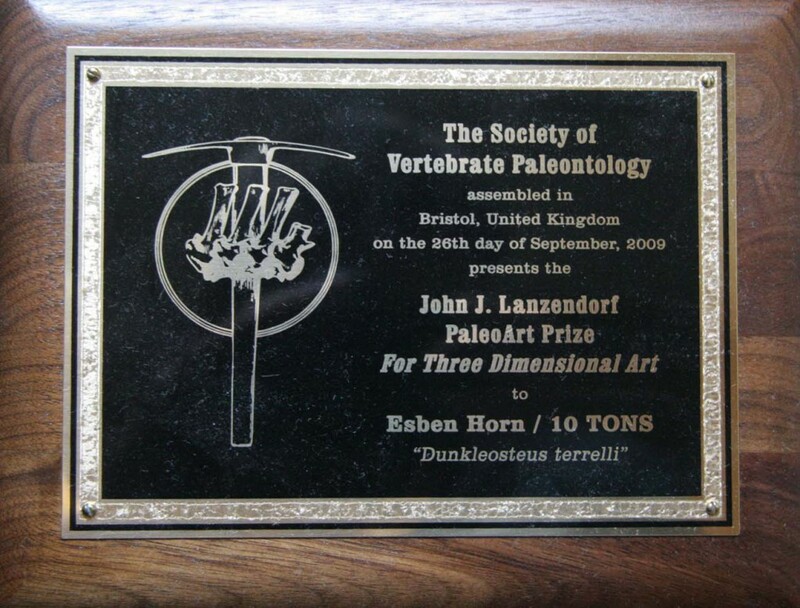 The Society of Vertebrate Paleontology assenbled in Bristol, United Kingdom on the 26th day of September, 2009 presentes the John J. Lanzendorf PaleoArt Prize For Three Dimensional Art to Esben Horn / 10 TONS “Dunkelosteus terrell”. 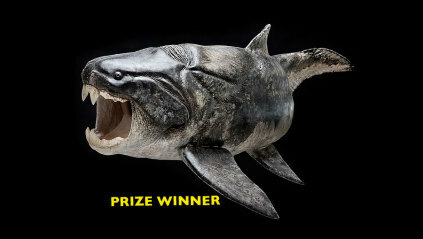 Dunkleosteus is an extinct genus of arthrodire placoderm fish that existed during the Late Devonian period, about 358–382 million years ago. 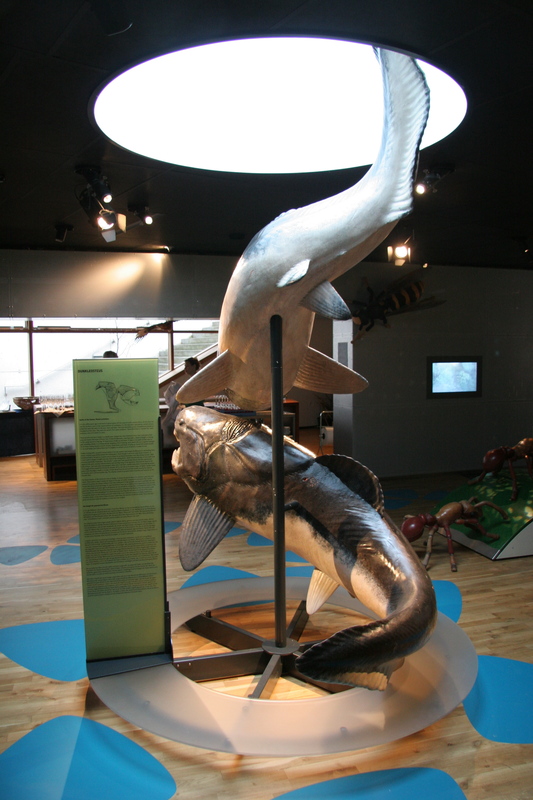 The largest species grew to 6 m in length, and weighing around 1 tonnes. 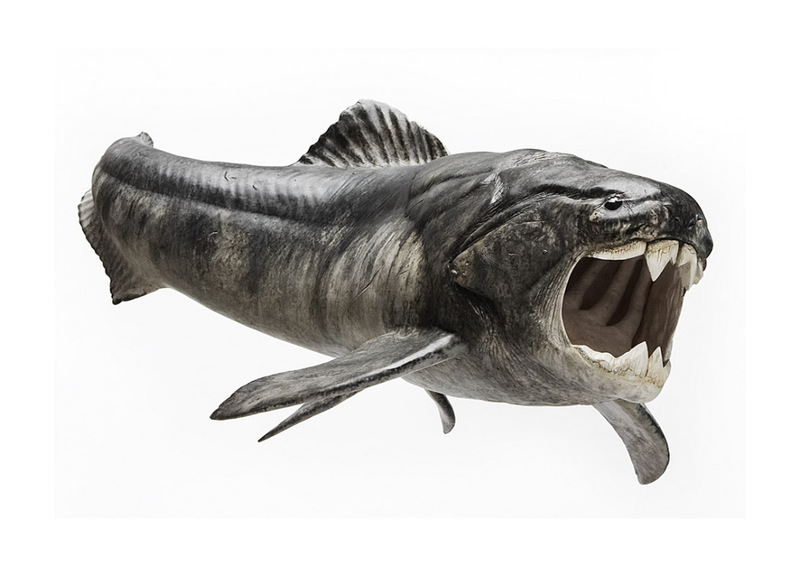 Dunkleosteus could quickly open and close its jaw, like modern day suction feeders, and had a bite force of 6,000 N at the tip and 7,400 N at the blade edge. 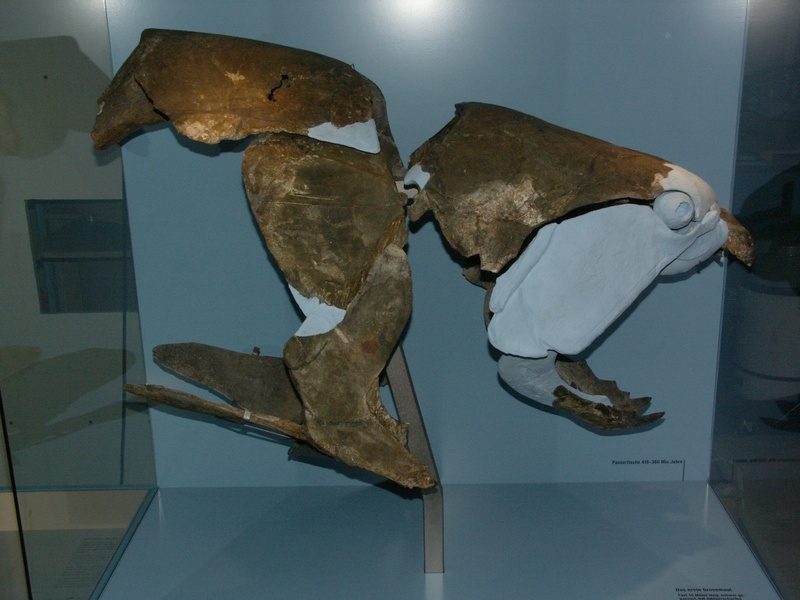 Several fossils have been found in North America, Belgium, Marocco and Poland. Like other placoderms, Dunkleosteus had a two-part bony, armoured exterior, which may have made it a relatively slow but powerful swimmer. 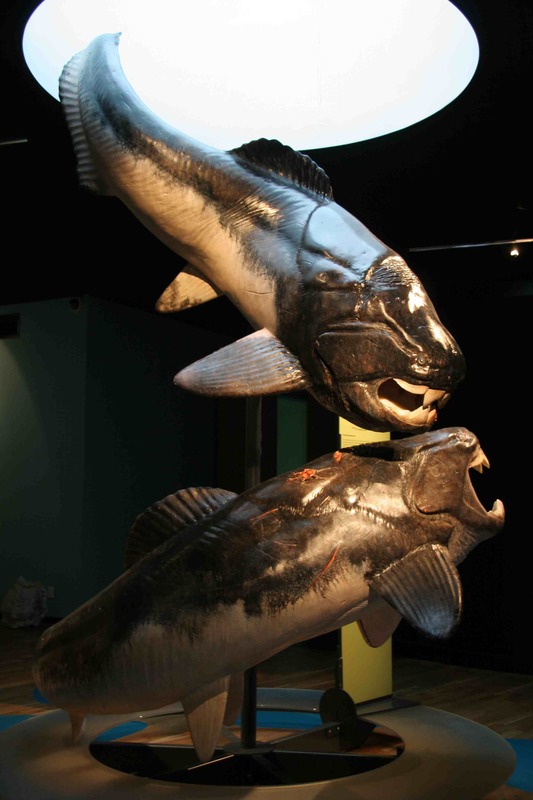 Instead of teeth, Dunkleosteus possessed two pairs of sharp bony plates, which formed a beak-like structure. 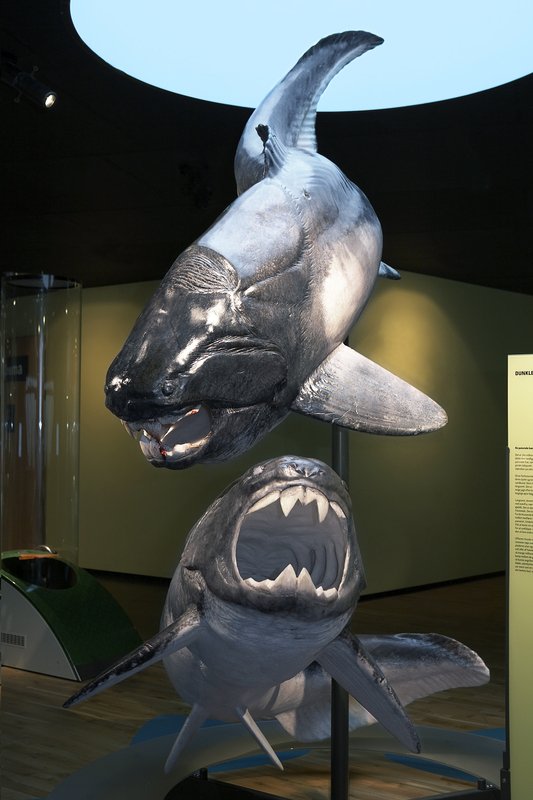 Dunkleosteus may have also been among the first vertebrates to internalize egg fertilization, as seen in some modern sharks.